The regulation EC 245/2009 (amended by EC 347/2010) is the implementing measure of the directive 2005/32/EC with regard to ecodesign requirements of products mainly used for office, industry and street lighting. The regulation also covers similar products used in private surroundings. requirements for energy-using products (EuP). The specific requirements for the respective products are defined in the so-called implementing measures. Two of these implementing measures have already been adopted as regulations: EC 244/2009 (amended by EC 859/2009) and EC 245/2009 (amended by EC 347/2010). Products not meeting the requirements of EC 244/2009 (amended by EC 859/2009) and EC 245/2009 (amended by 347/2010) must no longer placed on the market in the European Union after the dates specified by the regulations. Products already placed on the market before their effective deadline are still allowed to be traded or consumed. 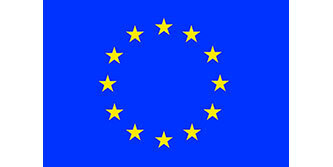 However, production of products for export purposes outside the EU is not prohibited. The compliance with the requirements of the regulations EC 244/2009 (amended by EC 859/2009) and EC 245/2009 (amended by 347/2010) is part of the CE declaration. With the CE declaration, the manufacturer announces the compliance with safety standards beside the adherence with the limit values and other requirements of the corresponding implementing measures (in case of EC 244/2009 for instance the compliance with packaging requirements).